A minimum viable product (MVP) is not always a smaller/cheaper version of your final product. Defining the goal for a MVP can save you tons of time, money and grief. I ran into a small startup at Stanford who wants to fly Unmanned Aerial Vehicles (drones) with a Hyper-spectral camera over farm fields to collect hyper-spectral images. These images would be able to tell farmers how healthy their plants were, whether there were diseases or bugs, whether there was enough fertilizer, and enough water. (The camera has enough resolution to see individual plants.) Knowing this means farms can make better forecasts of how much their fields will produce, whether they should treat specific areas for pests, and put fertilizer and water only where it was needed. All of this information would help farmers increase yields (making more money) and reduce costs by using less water and fertilizer/chemicals but only applying where it was needed. Their plan was to be a data service provider in an emerging business called “precision agriculture.” They would go out to a farmer fields on a weekly basis, fly the drones, collect and process the data and then give it to the farmers in an easy understandable form. I don’t know what it is about Stanford, but this was the fourth or fifth startup I’ve seen in precision agriculture that used drones, robotics, high-tech sensors, etc. This team got my attention when they said, “Let us tell you about our conversations with potential customers.” I listened, and as they described their customer interviews, it seemed like they had found, that – yes, farmers do understand that not being able to see what was going on in detail on their fields was a problem – and yes, – having data like this would be great – in theory. So the team decided that this felt like a real business they wanted to build. And now they were out raising money to build a prototype minimum viable product (MVP.) All good. Smart team, real domain experts in hyper-spectral imaging, drone design, good start on customer discovery, beginning to think about product/market fit, etc. They showed me their goals and budget for their next step. What they wanted was a happy early customer who recognized the value of their data and is willing to be an evangelist. Great goal. They concluded that the only way to get a delighted early customer was to build a minimum viable product (MVP). They believed that the MVP needed to, 1) demonstrate a drone flight, 2) make sure their software could stitch together all the images of a field, and then 3) present the data to the farmer in a way he could use it. And they logically concluded that the way to do this was to buy a drone, buy a hyper-spectral camera, buy the software for image processing, spend months of engineering time integrating the camera, platform and software together, etc They showed me their barebones budget for doing all this. Logical. The team confused the goal of the MVP, (seeing if they could find a delighted farmer who would pay for the data) with the process of getting to the goal. They had the right goal but the wrong MVP to test it. Here’s why. The teams’ hypothesis was that they could deliver actionable data that farmers would pay for. Period. Since the startup defined itself as a data services company, at the end of the day, the farmer couldn’t care less whether the data came from satellites, airplanes, drones, or magic as long as they had timely information. That meant that all the work about buying a drone, a camera, software and time integrating it all was wasted time and effort – now. They did not need to test any of that yet. (There’s plenty of existence proofs that low cost drones can be equipped to carry cameras.) They had defined the wrong MVP to test first. What they needed to spend their time is first testing is whether farmers cared about the data. Smart team. They left thinking about how to redefine their MVP. Thanks for sharing the story Steve. I guess it’s easy to get stuck with wanting to test the process.. Waooo!!! Great, graet lesson for me. Thanks.!!! It is very important for entrepreneurs to be reminded of this simple but important principle: the purpose of your MVP is to test your core value proposition. You often do not have to engineer a solution to do this. In our consulting business we often have to remind our entrepreneurs and startups that there are often very easy ways to do this. That is why when building a software company, a MVP can be a video, landing page, clickable wireframe, etc. Thanks for reminding entrepreneurs to a) talk to customers and b) determine value through an MVP that tests the core value proposition of the product. I find it interesting that their MVP was a service. It may not be a selling point for California but in Michigan satellite IR results are often disappointing because cloud cover blocks the view. Awesome real-world description of an MVP in practice. The way I think of it, and MVP allows you to black box important components of the value proposition. Within these black boxes are highly processes that are extremely unscalable in the long-term, but with a near 0 startup phase. Renting a plane or helicopter and hand-tuning the data is great short-term alternative to robots and software. Building a great landing page is a great complementary exercise as well. Thanks a lot Steve. I have to admit that I’m guilty of this line of thinking as well (being an engineer). Sometimes, I guess, it’s because I subconsciously want to delay the testing with customers (in this case: checking whether the farmers want the data) b/c of fears of failure. This is a lesson that I’d definitely take to my heart. Thank you for this article. The article talks about the right MVP for the question that needs to be tested. Fair enough. I am wondering how do you qualify/quantify the test from the MVP. In this case I assume, it would be money that the farmer paid and probably the easy by which he paid. Correct me if I am wrong. What a great reminder, thanks Steve! A non-functional MVP can only really give you good negative information, i.e. if no one is excited about the picture of your baby, then that is a strong negative signal. But if lots of people are excited, that is often only a weak positive signal…enough reason to build a functional MVP, and useful guidance about what it should do, but not much more than that. For a functional MVP, having lots of people use it is often only a weak positive signal, and having only a few people use it is a weak negative signal, especially early on. However, you have a strong negative signal if no one is really excited about it, and you have a strong positive signal if you find a _clearly identifiable_ group of users who are really excited about it, regardless of how many people use it. Think about Steve’s article. In a B2B context, he’s saying getting one evangelical customer from a functional MVP is a good goal. In my experience, you can usually tell within the first 3 to 5, maybe 7, customers in B2B if you have a clear target customer up front. In consumer, usually the first 200 to 500, maybe 1000. If no one is really excited, that should give you pause. If someone is really excited, that should give you confidence to continue. As in, say I did the test with 700 people and out of that 25 people were very excited and say out of the 25 excited people, 20 people were one group of people – say group A. But looking at number of people in group A in the set of 700 people I noticed that group A consists of 200 people. In that case I dont really have a clearly indentifiable group as 20/200 is pretty low. I am guessing you are talking about the case when the 20/200 ratio is pretty close to one, no matter how nitche the group is and the total size of the market is defined by the number of such people in the world. great case study Steve! appreciate your coaching, internet change our life, in pre internet era, this might be only available in a top biz school class! A very useful analysis of MVP. simply won’t talk with you? If you can’t get them to talk to you, how will you ever get them to buy your product? Maybe you need to validate the problem you are prosing to solve and the value you claim to provide? Thanks allot for this reminder, it hit me like a hammer to my head. You saved them from a bunch of frustration and grief. Wish I read this 6 months ago. We did the exact opposite, got caught up in the dev process and lost our focus on the “prize”. We spent 4-5 months working on nifty features and forgot to ask both the customer and the end-user, if they found value in what we were creating. Now we are struggling to salvage what we have and restart testing for value. Still optimistic but we had a very expensive lesson. It’s very easy to lose focus if you stay in your comfort zone and avoid regular reality checks. What an eye opener, it certainly is a great example that is very practical. Will always refer to it when things get cloudy as they often do when working on business ideas. Very interesting article – as always. Thanks Steve. I still struggle to see how the MVP and the entire Lean Startup framework applies to add-ons of a core product, or to services that are not core (yet) to a business model. For example a mobile app built by a bank, that locates its branches and ATMs. 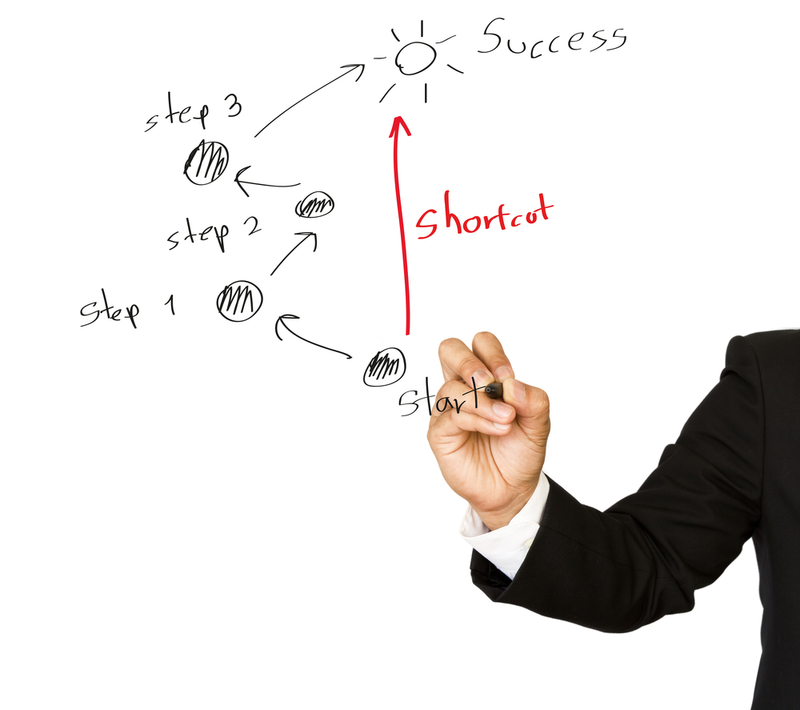 You can do A/B testing of course and it provides great leanings. But it does not seem to converge to a “successful startup” inside of this bank. Happy to further discuss if there is an opportunity to! These days if u do a decent Kickstarter or IndieGogo campaign ( which includes a product walkthrough) + targeted landing pages showing a clear value prop + key Screenshots , then top it off with followup Customer discovery…. that should give u a ton of data and prove viability.. Although we skipped the KS and landing pages when we started JuicyCanvas.com, and had to build an mvp first because we were not solving pain points – but rather offering a fun new creative experience which could only truly be understood when used. BUT we were foolish and lucky.. kids dont try this at home. Renting a plane and manually sorting through data is expensive. And you would need to “try sell” to more than one farmer to get reliable data. If your idea is an IPO idea, then it should be enough in most cases to just EXPLAIN your idea to get orders. 1 The idea is feels so good that there is no chance its gonna fail. Building a “cheap” $5000 MVP is OK in this case even though they could have validated it much cheaper with a simple landing page and picture. 2 The idea has sparked adrenaline, feel good emotions and they forget all logic and proven methods of moving forward in the most pragmatic way. 3 The notion of an MVP/cust. 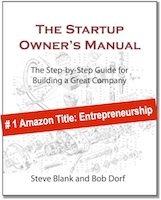 dev./a startup method is not even known to the founder. 4 They have tried cust dev before and always had their idea fail (which they should, but arent, happy for). They start distrusting the method and say “f*ck cust dev. i just need to burn the boats and start building. then i have no other option than winning. cust dev is too boring”. meb, I think you identified some excellent points. Simply cold calling would identify the first set of criteria customers are looking for to make their purchasing decision. If the custom isn’t convinced over the phone, create some sample reports. Still not convinced, create a mockup and run a WebEx or sample video. All for less that the price of the first fly-over and real data crunching. As reason number 5 for avoiding the direct path to customer insight, I would propose fear of discovery. Especially fear of discovering no one wants what you’re developing. I suspect #3 is all too common. I like #5 and #6 added by Joshua and Saul. #8 Founders are engineers and think that customer development requires skills they don’t have (possibly true), so they skip the task completely and move onto building. For an engineer, building a product is more natural than talking about the product. Does anybody else think concept of MVP clashes with “Ideas are worthless, execution is everything”? If the idea is about convenience, it can be a chicken-and-egg problem since MVP is meant to validate an idea but not execution. For example, many refer to manual data processing and emailing in MVP phase, but what if timeliness (real-time) of a solution is a core feature of the product? I think Josh’s No. 5, fear of discovering that you might have to make a big change is probably very powerful. Thanks for a great story Steve. Startup founders need a formula for defining an MVP without getting off-track, like a set of questions or a checklist that gets them to the desired shortcut idea. Something like lean canvas exercise would help. Hmm.. I think I want to work on this. Seed questions or ideas are welcome! 6. the belief that your product offers a new experience which can only truly be understood when actually used. One case and thought experiment: let’s think a bit backwards and imagine we are in 2007, before Fitbit, Jawbone UP, Nike Fuelband, etc came to market with activity trackers that sync up to your computer/mobile phone, what would be the MVP for such a product? Step counters are out on the market for 20-30 years), hundreds of thousands were entering the steps on websites and competed with each other. The key value proposition of these fancy wireless activity trackers is the experience with syncing and providing visual insights and the gamification around it. I don’t think this is a case of a wrong MVP. This is a jobs-to-be-done example of picking the wrong… job. As you wrote, data is what farmer wanted, not the way to get them. Anything else is addressing the wrong job. MVP is about identifying the minimum set of features that make a product viable. This is still far from marketable, no-one should ever consider market a MVP seriously. That’s the agile disillusion of being earlier in the market. With the level of competition that exists now, being out in the market with product that is just viable and not fully “lovable”, brings no-where. There were tablets before iPad, but none of them at the level of quality that user love. THANKS! I’ve been having a hard time getting this idea across. Great example of good (and cool) intentions going off track. It reminds me of the heated handle-bars on a bike; just use gloves. This is a great example. I’ve been having a hard time getting the idea across; MVP is to test for value to the customer. And here we have good (and really cool) intentions gone off track. It reminds me of the heated handlebars on a bike. Just use gloves. I have been following you for some time as a business consultant and find myself using and promoting you regularly to a variety of folks. I forwarded your drone blog to potential customers for their thoughts about your example startup. While I know that drones and farming are used here as an example of startup technique, I thought you (and your Stanford team) might enjoy some comments from my sister and her husband who who are mega-family farmers in Ohio. Their son (Matt) is a recent graduate of Nebraska employed there collecting some of the same data…on foot. I am waiting for his comments and will forward if you are interested. My point is the same I always have used�talk to the ‘consumer’ first�sometimes they don’t know what they want until you hand it to them, but they will always shorten your development time. Hey family: Does this idea below have any fundamental value in your farming worlds? 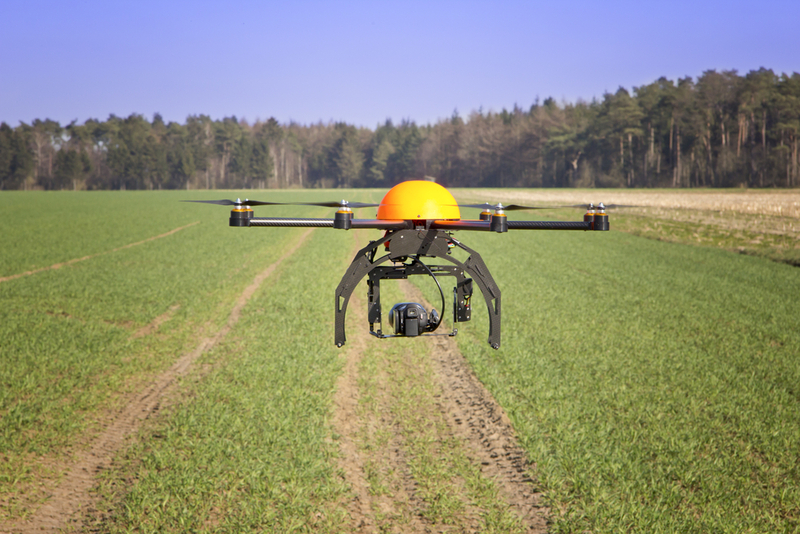 I have been conversationally toying with the possibility of drone application of fertilizers/chemicals with some of the folks at Dayton Development Coalition and this stirred up the thought again. Yeah, pretty much they forgot to ask the farmers if they cared about the data. For sure. Some farmers would care and love it, but many, many fewer would be willing to pay for that service. A lot fewer. Farmers do not let go of their money easily for ANYTHING. I don�t foresee drones taking Matt�s job away from him anytime soon. It�s hard enough getting farmers to let go of money for what Matt does, let alone a techno drone. BTW, if our experience the techies have a very hard time getting the info into a form that the farmers can actually use. They can rarely make it �user friendly�. THAT is a huge barrier to getting the farmers to even want to look at the possibility � they are the most skeptical group I know. J Matt and Richard � care to chime in here? This message is confidential. It may contain privileged communication or work product intended for the individual or entity named within the message. If you are not the intended recipient, or the agent responsible to deliver it to the intended recipient, any review, dissemination, distribution or copying of this communication is prohibited. If this communication was received in error, please notify us by reply e-mail and delete the original message. Thank you. 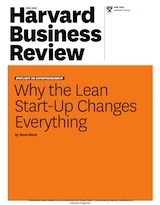 “Lean is Not an Engineering Process” it’s my take away from this. Will the farmers even care about this service? It makes more sense to use this in every process within your business. This could be a very powerful driver for your entire business. When I think about MVP’s I can’t help but see examples of cases where the opposite was successful: the iPhone, the Kindle. These were massive projects with huge backend engineering and operations, with huge big-bang launches. Is there a rubric for determining when a project can benefit from an MVP vs when a Big Bang release is more appropriate? Is it possible that some projects will only be successful on scale, and that aiming for an MVP is sometimes a *bad idea*? 1) Apple and Amazon have considerable resources… they can afford to stumble, and they can afford to take MANY years (iPhone took many many years) to develop and quietly test the product and business models. Those companies can fail and probably not sink. Most startups may not survive a large investment in engineering that produces no customers. Thanks for your replies @john and @Lilia. Could Google have failed smaller in those cases where it does fail? 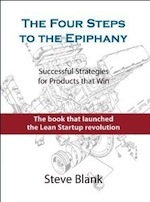 Could Apple, Amazon, … have been more successful with a lean/MVP strategy? Do opportunities that aren’t a good fit for MVP approaches demand bigger budgets and higher failure tolerance? If you are Apple/Amazon/Google you have enough data to base your business decisions on and enough resources to build a viable product, so you don’t really need an MVP. They also have their brand to protect so have to be more sensitive to quality of the products they introduce. Not necessarily. In the case of reinventing an existing product or idea your cost to market is actually lower – innovation is expensive, imitation is cheap and effective. MVP is a method for learning (validating) who your customers are and what they want and willing to pay for while keeping the cost to a minimum. 1. Whether the product idea is new or just a variation/improvement/extension of an already validated product. Many founders say “I can do this better and cheaper than company X” and improve upon an existing product that already has a proven market. 2. Whether business survival or even existence depends on the success of the product or not. In cases of startups, not validating a product is intolerable risk compared to launching of another product for a big established company. This is all about defining the product. Is the product the technology or the output? What the product IS depends on the problem that the team is trying to solve. If the problem is that there is no way to get high resolution data, the plane / helicopter idea is a good one, but if the plane / helicopter thing is already being done, as one commenter pointed out, then the value proposition may be that doing it with drones is cheaper or somehow better than using manned aircraft, in which case they will have to develop a prototype to prove that out. Rather than “talk to the customer first” I would advise to “check for competitors first” and that preferably on a global scale since data providers can come from anywhere. In this specific case the startup would likely have discovered http://www.eleaf.com doing exactly what they are planning to do and not with drones but with available satellite data. So my question to Steve is to comment on my opening sentence! Thank you all for sharing your learning experience! Responsive to Eric and Alex comments of 7/22, keep in mind that when Xerox originators had AD Little do a market survey for interest in their photocopying concept, the conclusion was that they could expect only about 5000 possible customers in the USA. The fact is that with new concepts, customers many times cannot get their head around the full impact or potential of the idea and hence the misleading marketing survey results.